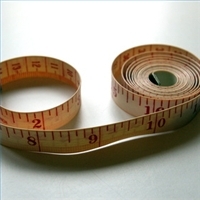 I've talked about the whole idea of how I measure myself before on this blog. But problems often don't go away, they just come back round again in a different form, usually just when you think you've cracked it and get complacent. Which is how I find that I have just bumped into the problem of Quality versus Quantity again. I'm fortunate in that I can write lots in one sitting. Two or three thousand words in a day is not unusual.. I realise this is an enormous gift, because I have friends who struggle to grind out 250 words in a week.I am lucky - I just download the pictures in my brain. (My problem always comes with the next phase, the redrafting, but that's another story.) Once I have decided my hands can't pound away any more, I always, ALWAYS do a word count. I can't seem to help it. Try as I might, its an addiction I can't seem to overcome. And then I judge myself on the result. What is enough? In our society, where everyone is judged on how much they've done, I watch the children of friends exhausting themselves with out of school activities so they will have something to put on their CV, pushing themselves beyond endurance to do scouting badges, ballet lessons, Duke of Edinburgh awards, amateur dramatics, work placements and volunteering, on top of numberless GCSEs, to prove they are 'well rounded candidates' for whatever job or University place they aspire to. Once upon a time, I was one of them, although I admit the pressure was not so bad then. Trouble is that I am still judging myself on how much I achieve, instead of appreciating that my life can't work that way anymore. We all need to recognise that our value lies in who we ARE, not how much we DO. I need to recognise this. When I measure myself, all the joy goes away. I end up frozen into SHOULDland, my creativity stifled by a sense of obligation. That is how I have been for most of the last year with my writing, unable to work. I knew I OUGHT to be working on a rewrite of an existing work because that was what everyone around me wanted. I was using other people's measuring sticks. (They'll only love me if I finish this for them.) Its not their fault. It was how I interpreted their encouragement. And it is amazing how uninspired you can get with that kind of obligation bearing down on you. I choose not to measure myself. I choose not to judge myself. I choose to be myself. Yay for the Frying Pan of Enlightenment!